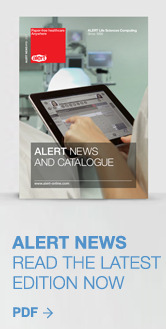 This Web site ("site"), located at www.alert-online.com, is registered under the same name and operated by ALERT Life Sciences Computing, S.A. (ALERT). 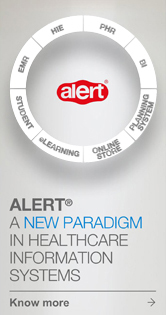 The site contains information and provides access, upon registration, to ALERT® services. These services are intended to be used by adults, and duly established and represented legal entities. Access and use of the site are subject to the terms and conditions described herein. By accessing and using this site, you agree to these terms and conditions. All content, texts, pictures, videos, music and sound files, as well as logos, names, brands and other distinctive site elements are protected by intellectual property rights and/or other. These rights are licensed to and are the exclusive property of ALERT. No site content can be used or reproduced, in any form, without ALERT's prior written permission. Access and use of the site do not imply or establish, per se, any trade relationship - namely as client, consultant, or surrogate -, or any other type of relationship between the user and ALERT or any of the people connected to it. The user is responsible for any information, data, message and/or any other content registered and/or transmitted via the site. The user also agrees to assess and take responsibility for any and all the risks involved in transmitting content. x. Collect or store personal information from other user(s) without prior authorization of the owner(s) of that information. ALERT does not check content registered and/or transmitted by its users, and, as such, cannot guarantee the lawfulness, correctness, honesty, truthfulness, integrity and/or quality of that content, nor can it be made responsible for any user that does not respect these terms and conditions. Regardless of the aforementioned, ALERT reserves the right to refuse, remove or block access to any content that violates the present terms and conditions, and/or whose unlawfulness is evident, as well as to archive and/or disclose that content when such is required by any administrative or legal authority under the terms of the current law. Information available on the site has been carefully collected and ALERT has taken all the necessary measures to ensure that the information is bona fide. However, as far as legally possible under the applicable legislation, ALERT does not guarantee that the information provided is without errors (human and/or electronic), delays, interruptions, loss of data, omissions or other anomalies. Similarly, ALERT does not guarantee that its files do not have software viruses, "Worms", and "Troy Horses" that contain or show contaminating or destructive features. The user accepts and acknowledges that they should not use any content and/or services made available via the site to ground or support any decision, action or conduct (as the result of an act or omission) without previous verification or critical analysis. Whenever ALERT receives an email sent via the site, it will do its best to answer as quickly as possible, and try to respect the time requested by the user in the email. However, ALERT cannot predict nor guarantee the time needed to provide an answer. The site may have hyperlinks ("links") to other Internet sites registered under the name of other entities. ALERT does not have any connection and/or control over those same sites, and will not be responsible for the truthfulness, correctness and/or accuracy of the contents made available there, as well as for their use. ALERT shall not be responsible for any damage that may occur as the result of dealings between the user and advertisers on the site. ALERT may publish notices on the Web site, or create special links either to inform of changes to the present terms and conditions, or of any other subject. ALERT will not be liable for any damage and/or loss suffered by the user or third parties resulting from any contingency and/or unavoidable circumstances. The user also acknowledges that the Internet is a public network and, as such, ALERT will not be liable for any damage resulting from the use of this same network. Moreover, ALERT will not be liable for the wrong use of the service made available on the Web site, nor for the damage caused by that inappropriate use. The user agrees that ALERT will not be liable and may, at its sole discretion, cancel the access to the services made available on the site in the terms best described in each particular case, namely due to lack of payment, violation of intellectual property rights and/or following the request of administrative or legal authorities under the terms of the current law. Following the aforementioned situations, ALERT may refuse any new request for ALERT® services, or any other request sent to ALERT. ALERT reserves the right to modify or change, at any given time and without any previous notice, the current terms and conditions of use. New terms and conditions of use become effective as from the date of disclosure. Should any of the provisions of the present terms and conditions be considered illegal or inapplicable, as a whole or partly, that provision will not be considered as part of these terms and conditions, and the remaining provisions will remain valid and applicable.